Take an immersive journey through the life, works and struggles of the Italian master Michelangelo Merisi di Caravaggio. Roberto Longhi, a Caravaggio expert, explores in the artist's masterpieces the echo of personal experiences and the expression of the human state, both physical and emotional. 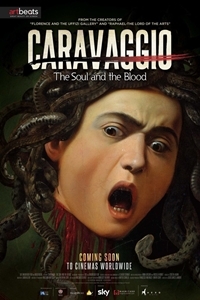 These evocative moments -- thanks to the use of light and cinematic techniques -- allow viewers to go deep inside the mind and soul of Caravaggio, empathizing with his impulses and fears.$12.50, $10 senior/child.